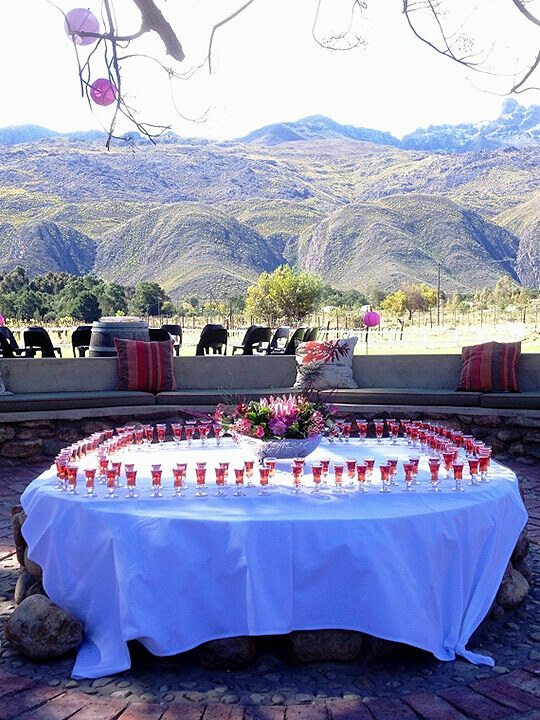 The 4 Star Graded “Mese” Colombar Wedding and Function facility also serves as a stylish, intimate venue centre for exclusive functions, conferences or a Traditional Klein Karoo Wedding venue that can accommodate up to 130 guests and dining can be enjoyed as formal cuisine or relaxed, traditional braais. Conversation corners offer private nooks for the discerning guests. 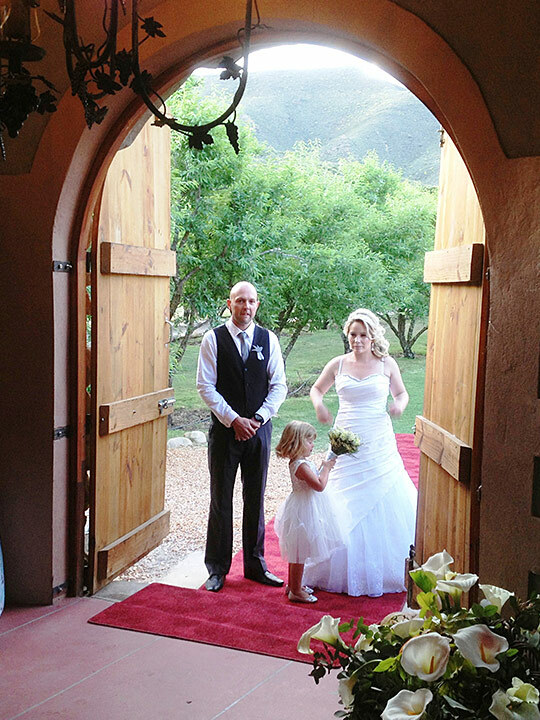 Spectacular sunsets and mountain views can be experienced from the Pinotage Terrace and Riverbank where the Ceremony can be held on the lush green lawns with the beautiful vineyards as back drop. 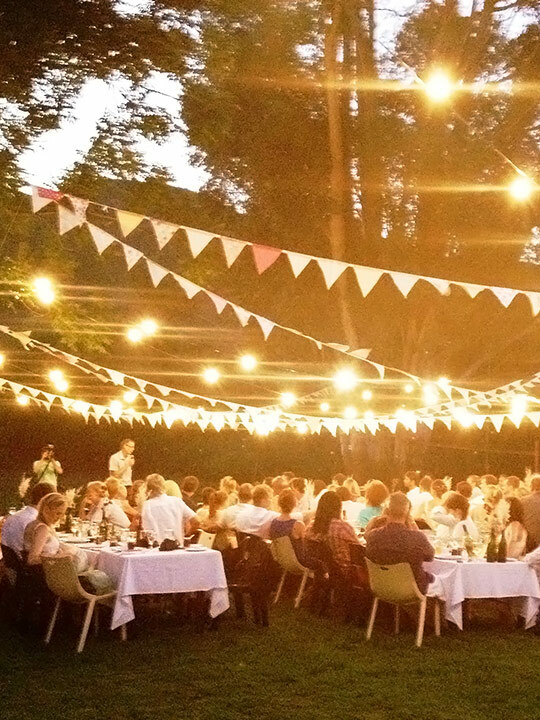 Spit Braai facilities are available and on site Please contact us to put your custom made package together according to your requirements.